You may have heard that options traders should pay attention to stocks with a high short interest ratio. But what is considered a high short interest ratio as opposed to an average or low one? Definitions vary, but a short interest as a percentage of float above 20% is extremely high. Also, a “days to cover” above 10 indicates extreme pessimism. 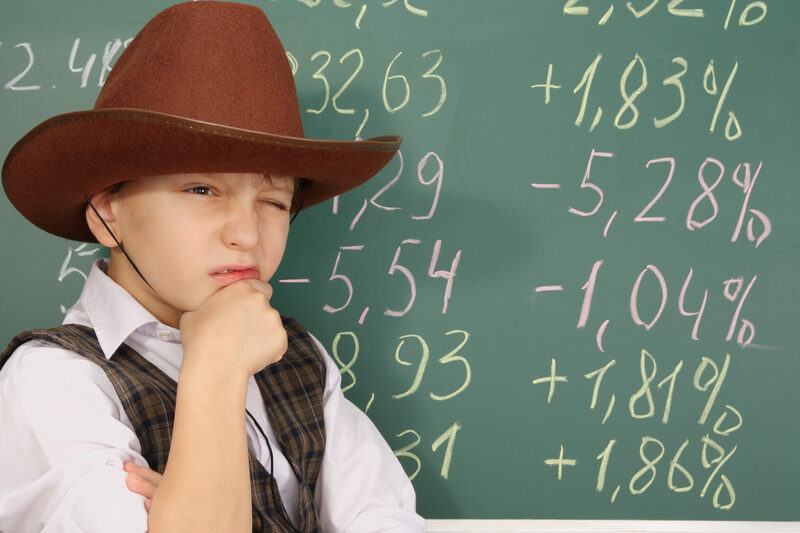 Answers vary, however, about the exact math behind a short interest ratio. For a more detailed answer, keep reading. This article will explain what a short interest ratio is, and it will provide some rules of thumb for determining what counts as a “high” ratio. It will also explore some ideas for how to trade options using stocks with a high ratio. What Is a Short Interest Ratio? What is considered a high short interest ratio? When traders talk about the “short interest ratio,” they often don’t agree on the definition. This is because there is more than one definition for the term and more than one way that the ratio can be calculated. The short interest ratio could be the same as the days to cover, the short interest as a percentage of float, or the NYSE short interest ratio. Regardless of which definition is used, the basic principle is the same: a stock or index with a high short interest ratio has a high number of shares sold short and/or a low number available to trade. This means that if a sudden buying frenzy were to occur, short-sellers would have to frantically cover their positions. Now let’s delve deeper into each of these definitions. One definition of the short interest ratio is the number of days to cover. This is the number of shares sold short divided by the average daily trading volume. For example, if 1000 shares of XYZ corporation have been sold short and an average of 100 XYZ shares are traded each day, then the days to cover ratio is 1000 ÷ 100 = 10. This means that if all of the shorts wanted to cover their positions at the same time, it would take around ten days for them to do so. A high days to cover means that short-sellers would take a long time to unwind their positions if the price were to suddenly rise. A low days to cover means that short-sellers could easily and quickly cover their positions even if the price were to suddenly rise. Another way of defining short interest ratio is as a percentage of float. In this case, we calculate the ratio by dividing the number of shares sold short by the total number of shares available for trading (the public float). For example, let’s say that there are 10,000 shares of XYZ corporation, but 200 of these shares are held by company officers and are “locked-in” (can’t be sold). In this case, the public float is 9,800 shares. And let’s say that there are 100 shares sold short. We calculate the short interest ratio by dividing the 100 shares sold short by the 9,800 of the public float. This gives us a short interest ratio of approx. 0.01 or 1%. A short interest as a percentage of float above 50% means that short-sellers would have a very difficult time covering their positions if the price were to rise. This is because the majority of shares have been sold short already. As a result, short-sellers would have to compete with each other to buy the shares back if they wished to cover. Another definition of the short interest ratio is the NYSE short interest ratio. Unlike the other versions of the ratio, this one refers to the entire U.S. stock market instead of just one particular stock. The NYSE short interest ratio is calculated by taking the number of shares sold short on the entire NYSE and dividing it by the daily volume on the NYSE for the previous 30 days. For example, suppose that there are 15 billion shares sold short on the NYSE and 2 billion shares on average were traded each day over the past 30 days. This gives us an NYSE short interest ratio of 15 billion ÷ 2 billion = 7.5. This means that it would take an average of 7.5 days to cover the entire short position on the NYSE. 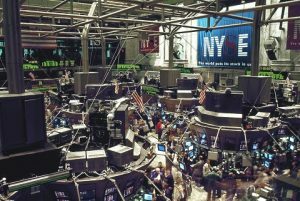 A high NYSE short interest ratio means that the stock market as a whole is vulnerable to a “short-squeeze.” It could rise quickly if new economic data, political news, or other types of information are released that make investors more optimistic. Now that we’ve explained what is considered a high short interest ratio, let’s consider how to trade using this information. As with all metrics we can use to evaluate stocks, a high short interest ratio is subject to interpretation. If a stock has many short-sellers, it may be because the company is not very profitable. Maybe the company is facing market changes that have made its business model untenable, or perhaps the management is involved in accounting scandals. On the other hand, a high short interest ratio may also be interpreted as a contrarian signal that the stock is a bargain. For example, let’s say that the company is developing a new product, but early reports suggest the product may be unsafe. As a result of this early report, short-sellers have piled in, pushing the short interest as a percentage of float above 10%. If later on, the product is proven to be safe, there may be a sudden flood of buyers. But because short interest is so high, a large number of short-sellers may be forced to cover their positions. This can quickly push the stock price even higher, causing a strong rally. Because of this potential for sudden rallies in stocks that have high short interest ratios, many seasoned options traders consider the metric to be a bullish indicator. There are a number of different definitions for what the short interest ratio is. It could mean the number of shares shorted for an individual stock as compared to the daily volume, the number of shares shorted for an individual stock as compared to the total public float, or the number of shares shorted on the entire NYSE compared to the daily volume of the entire exchange. Regardless, most options traders would agree that if a short interest ratio is defined as the number of days to cover, more than 10 days is pretty high. Likewise, a short interest as percentage of float above 10% is pretty high and above 20% is extremely high. These high ratios may indicate that a company is in trouble. If so, you may want to join the crowd and go short. Or if you think there is no good reason for this company to have a high short interest ratio, you may want to go long to take advantage of the coming short squeeze.